Home Tags Articles tagged with "outdoors"
45345 W. Martin Luther King Blvd. Open from sunrise to 11 p.m., Copper Sky is home to a 5-acre lake stocked with a diverse population of aquatic life. Licensed anglers can take home a daily limit of four catfish, four trout, two bass (13-inch minimum), 10 sunfish/bluegill or one white amur (30-inch minimum). Normal statewide limits are applicable to any other species. City park rules prohibit boating, swimming or wading in the water (by humans or pets). Glass containers and alcoholic beverages are also prohibited at Copper Sky Regional Park, unless otherwise indicated for a special event. From sunrise to 11 p.m., licensed anglers can find a diversely-stocked pond with a maximum depth of 11 feet. Depending on the season, AZGF keeps this lake stocked with a mixture of fish allowing for an individual daily-bag limit of two catfish, two trout, one bass (13-inch minimum), five sunfish and one white amur (30-inch minimum). Park rules prohibit boating, swimming or wading in the water (by humans or pets). Glass containers and alcoholic beverages are also prohibited at Pacana Park, unless otherwise indicated for a special event. For Maricopa residents, one of the best places for a local hunt is less than an hour west of the city, in the mountains and valleys of the Sonoran Desert National Monument. While hunting is allowed on much of the nearly 500,000 acres of federally-protected land, it can be limited in certain areas and entirely prohibited in others depending on the species, season and method-of-take, so do your research with the Arizona Game and Fish Department and Bureau of Land Management. When properly licensed and permitted, hunters in the monument could have access to javelina, mule deer, mountain lions, dove and quail. Desert bighorn sheep are also known to live in the Maricopa Mountains, though due to dwindling populations, permits to hunt these illusive mammals have become harder to obtain, with only 80 to 100 being awarded in the state each year through the AZGFD’s lottery system. Located on Hidden Valley Road, approximately 1.25 miles south of Farrell Road, is Maricopa’s closest public shooting area. Situated on the eastern slopes of the Palo Verde Mountains, this target-shooting area is open and free to shooters of all ages and types. The secluded site is managed by the Bureau of Land Management, which requires target materials, ammunition casings and all other garbage be disposed of properly. Individuals caught littering may be prosecuted. Most of the Sonoran Desert Nation Monument is open for recreational shooting, with the exception of 10,600 acres in the north and northeastern areas that in 2015 was closed to target shooting because of a “court-ordered analysis of the impacts of such shooting on the Monument.” The prohibited areas amount to only about 2 percent of the total monument. The Bureau of Land Management advises all shooters to follow safety guidelines, and only use firearms as prescribed by federal and state law. The BLM also requires target materials, ammunition casings and all other garbage be disposed of properly. Hiking and camping is allowed throughout most of the monument. With nearly 500,000 acres of federally-protected lands, SDNM can entertain novice hikers and adventurous explorers alike. From short, scenic hikes and wildlife viewing, to overnight camping and stargazing, BLM encourages people to explore the numerous hidden treasures of both indigenous and colonial history. BLM advises all visitors to follow park regulations concerning the use of open flame and trash disposal. During the hotter months, April to September, BLM reminds hikers to stay hydrated and always bring a cellular phone in case of emergencies. It is also important to notify someone of the location of your intended hike. Recently voted Arizona’s fifth best by Golf Magazine, the 320-acre oasis at Ak-Chin Southern Dunes is located on SR 238 just 2.5 miles west of John Wayne Parkway. Golfers can enjoy a world-class round of golf against a beautiful mountainous backdrop and quality food and beverage options at its Arroyo Grille. A par-72 “championship style” course located in the heart of Maricopa’s flagship subdivision, Rancho El Dorado, The Duke offers the public golfing and dining via its Silver Spur Grill right in their own backyard. The municipal recreation complex at Copper Sky not only offers members access to its indoor fitness and sports facilities and a premier aquatic center, it offers public access to its many outdoor amenities. Outdoor basketball and tennis courts are available first-come first-served, while baseball and softball fields and be reserved for as little as $10 per hour. There is also a dog park and skate park for both roller blades and skateboards. Covered ramadas and sections of the 9-acre lawn near the lake can also be reserved for gatherings and events. An outdoor culture has a direct correlation with the types of recreation offered, the number of active people, mental and physical health, conservation, social aspects and even the types of restaurants and businesses in the area. Take Sedona for example. Uptown is lined with tour companies, jeeps running everywhere and cyclists riding up Oak Creek. There are many bikes shops, like Bike & Bean, where you can stop for coffee and buy a bike and bike parts. Now, I fully realize the terrain of an area can be a natural draw for tourism and outdoor exploration. We don’t have to be a Sedona or Flagstaff, though, to still embrace an outdoor culture. From my experience, Maricopa is a place that has already implemented a variety of activities and events throughout the years that contributes to a culture geared toward the outdoors. We have fun runs, farmers markets, and festivals that provide residents with opportunities to be active and eat healthy. As Maricopa grows, it’s important to cultivate this culture so we’ll have even more chances to bring in businesses and recreation that contributes to this culture. An outdoor culture also creates a social community. For example, the Salsa Festival is rooted in Maricopa’s culture; I could not imagine having a year go by without this festival. I’m sure many residents would be disappointed if this event no longer took place. The Salsa Festival provides opportunities to have great food, spend time with family, meet new people and see to top-notch entertainers. Also, the Outdoor Recreation Program at Copper Sky established and operated by Josh Bowman, has set a high standard for how outdoor recreation programs. This program provides accessible, fun and affordable ways for residents to see our great state. The trips include camping, hiking, caving and even museum visits. Participation in these trips contribute to a healthy, active and engaged community. We are setting the stage now for how we want our city to operate 20 years from now. Establishing outdoor-related businesses, implementing trails that meander throughout the city and creating more outdoor-related events will be influenced by how residents perceive the importance of outdoor activity and recreation. Like many of you, I want my kids active and outdoors as much as possible. I strongly believe having a community focused on the outdoors creates a place where people are proud to live and sustains a healthier and happier community overall. Getting outdoors is not only great for your health, but also contributes significantly to the local and national economies. Under the Outdoor Recreation Jobs and Economic Impact (The REC Act), the outdoor recreation economy will be counted as part of U.S. Gross Domestic Product. The Bureau of Economic Analysis (BEA) will measure the impact outdoor recreation has on the GDP and offer detailed government economic statistics not currently available. However, the statistics currently available are eye-opening. A report from the Outdoor Industry Association (OIA) states outdoor recreation is a $646 billion industry, supports 6.1 million jobs and contributes $80 billion to local, state and federal tax revenue. The results of the BEA study will be a critical resource for policymakers to better understand the economic impacts of outdoor recreation when making policy decisions. For example, supporters for trail maintenance will now have official federal data to back up their initiatives. OIA also reports Arizona outdoor recreation generates $10.6 billion in consumer spending, 104,000 direct jobs, and $787 million in state and local tax revenue. On a more local level, Maricopa has a mayor who is a strong proponent of outdoor recreation. When Mayor Christian Price was HOA president of Maricopa Meadows, he implemented a disc golf course to best use the architecture. “You can get on a Frisbee golf course and play with your grandkids – that’s the beauty of it,” Price said. OIA member Jessica Wahl said a current program that provides funding is the Land and Water Conservation Fund, which must be matched with state and local dollars. A future project is the proposed Palo Verde Recreation Area. Pinal County is working with the Bureau of Land Management to secure this land for public recreation such as hiking and biking for an extended period of time. Without locking in a contract, it’s possible “BLM administration could turn on a dime, and say as of today you can no longer ride here,” Price said. Having places for residents to enjoy the outdoors has social, economic and health benefits. As our city grows, Mayor Price anticipates “trail systems along the washes” and other projects being implemented to get our residents outdoors. Having outdoor recreation “reduces crime, raises home values and increases love of the community,” Mayor Price said. The “Take a Hike, Do it Right” campaign, a collaborative effort between the City of Phoenix Parks and Recreation Department and the Phoenix Fire Department, is a result of increased mountain rescues. It is estimated that every year, approximately 200 people are rescued from the City of Phoenix desert and mountain preserves. The trouble isn’t just in Maricopa County. According to Pinal County Sheriff’s Office, the Search and Rescue unit handled 175 incidents in 2016, and 103 were medical rescues. Introduced in August of 2015, the campaign is designed to educate people on the dangers of hiking. Watch the weather: Yes, it’s a dry heat — but Arizona’s temperature can be deceiving and deadly. Hike when it’s cool outside, try early mornings and evenings when there’s more shade. Dress appropriately: Wear proper shoes, clothing, hat and sunscreen. Bring water: Hydrate before you go. Have plenty of water – more than you think you need. Team up: Hike with others. If hiking solo, tell someone your start and end times, and location. Be honest: Do you have a medical condition? Asthma, heart problems, diabetes, knee or back problems? Don’t push yourself. (Even trained athletes have been caught off guard by getting dehydrated on Arizona trails). The altitude, the strenuous climbing, dehydration and the intense inner canyon heat all combine to make any medical problem worse. Don’t trailblaze: Enjoy the Sonoran Desert’s beautiful and undeveloped landscape, but stay on designated trails. Take responsibility: Don’t be “that person” – the one who was unprepared, shouldn’t have been there for health reasons or ignored safety guidelines. Be the responsible hiker, who takes a hike and does it right! Take a break for five to seven minutes every 30 to 60 minutes. If you can, sit down and prop your legs up above the level of your heart. These breaks can really recharge your batteries, and in the long run will not slow you down. Be sure you stay hydrated and eat often. You should eat before, during and after you hike. No matter what the temperature, you need water and energy to keep going. Since this campaign was launched, there has been a lot of effort made to get the numbers down on hikers who need to be rescued. Park rangers suggest less experienced hikers start on easier trails and experienced hikers keep an eye on those who may need water or other types of assistance. Do you want to have one of the greatest adventures of your life? Experience the thrill of flying high in the sky in Maricopa. Sonora Wings is a hang gliding school and also provides Discovery Flights for the public from ages 6 and up. There are three flying adventures for you to choose from. There are two Discovery Flights – one goes to 2,000 feet above the ground and lasts 15-20 minutes. The other Discovery flight is 3,000 feet above the ground and is 20-25 minutes. If you’re up for a real adventure, the Mile High Flight is 5,280 feet and you’re up in the air for over 40 minutes. Luke and Crissy Waters get the opportunity to connect with many people from Maricopa and all over the country. Safety is typically a common question that people have before they go. The instructor also wears a parachute that will hold the weight of both passengers in the rare case of an emergency. Like any new adventure, it helps to know what to expect. The flight begins with a safety talk, the overall procedure and what will happen once you’re in the air. For tandem flights, the instructor is in the harness on bottom and you are in the harness above. You will step into a full body harness and also wear a helmet. Once you are all strapped in, the instructor gives a signal to the aerotow pilot for take-off. At this point, you start slowly rolling down the runway for a few seconds until you start ascending. Once the plane gets to the designated altitude, the instructor will detach the chord rope from the tow plane and this is when you are flying non-motorized. This change in the flight will leave you breathless. At this point, the instructor gives you free rein to steer the glider left or right. To add to the excitement you can also request the “rollercoaster,” which will surely give you butterflies. With the wind in your hair, feeling weightless, and being able to see for miles, it may be the closest thing you ever come to feeling like a bird. Being able to see for miles around will give you a completely new perspective on Maricopa. From Sonora Wings you can see Table Top, South Mountain, Estrella Mountains and Pachaco Peak. If the flight bug bites you after you go tandem, Sonora Wings has you covered. In their flight instruction school you can learn to fly completely on your own. They use a building block method. You start with the aerotow flights taking off and landing with an instructor. Once you start flying solo you eventually get to the point where you can land on your feet. Once you fly on your own and can land on your feet, you are taken to a training hill to learn the foot launching. “Hang gliding is also a challenging sport that grows with the pilot’s skills and continues to offer new rewards,” Waters said. Sonora Wings is not only tied into the Maricopa community, but the hang gliding community as well. Every year, Sonora Wings is a part of the Santa Cruz Flats Competition that recently held its ninth competition at the Francisco Grande Hotel in Casa Grande. There were five classes of gliders that competed in this year’s event, a special dedication to the late Mark Knight, who was a well loved and respected member of the hang gliding community and owned Sonora Wings. The Casa Grande location is considered one of the best venues for a hang glider competition because of the desert and farmland surrounding the hotel provides good weather conditions for flying. Flying from the resort is luxurious compared to other competition locations and brings in top competitors from around the world. The competition is based on pilots navigating their gliders around a predefined course that is usually 50-80 miles long. After seven days of competition a winner is chosen based on the times it took to complete the courses. This competition requires a great amount of hang gliding skills and knowledge about thermals. Misty Newman grew up in Idaho and was raised in the outdoors. She loves to go camping, hiking, fishing, & rafting. In her past life, two of her favorite recreational activities included bungee jumping and rock climbing. She was a ranger for a state park, a Recreation Coordinator for the Boys and Girls Club, and the photo editor at the College of Southern Idaho. She moved from Idaho in 2007 and has lived in Maricopa since. She now enjoys exploring AZ with her two beautiful children. Contact Misty at getoutdoorsmaricopa@gmail.com or visit: www.getoutdoorsmaricopa.com. I had the pleasure of speaking with Kurt Pietrzak, the owner of Maricopa Shooting Service. He first opened his doors in 2003 after he was injured as a Paramedic of 20 years. He has always been passionate about guns and this was something he could do at his own pace and from his home. He started his business venture with Gunsmith courses and from there moved into getting CCW Certified. The first CCW class was held in 2004 and since then he has had at least 1 CCW course per month. Maricopa Shooting Service provides two types of training – a concealed-weapons course and a gun-safety course. Kurt also gives individualized shooting lessons held at a gun range in Hidden Valley. He is also an instructor for the new NRA program, Refuse to be a Victim. Maricopa Shooting Service also specializes in guns; they sell revolvers, 12-gauge shotguns and semi-automatics to name a few. Kurt has an FFL so he can legally purchase and take possession of firearms. If someone finds a gun online and it’s through a private dealer, then Kurt will send that company a copy of his FFL so he can purchase the gun. For those guns he doesn’t have access to, he has a friend in Florence that sells class 3, including suppressors. According to Pietrzak, it is now legal in Arizona to hunt with a suppressor. “The benefit of using a suppressor is heavy ear protection is not needed and the sound of the gun going off won’t scare other animals that are close. You still hear the crack of the bullet, but not the big boom,” he said. 1. Never point at anything you’re not willing to kill. 2. Keep your finger off the trigger. 3. Every gun is loaded until you check it yourself. 4. Know your target – what’s in front of it and what is behind it. Pietrzak knows all too well how close a person can get to being shot. Kurt also has very insightful advice for training correctly and under pressure. To sign up for a course or to purchase a firearm, visit MaricopaShooting.com or call 520-568-1820. When Gaby Potter first moved to Maricopa with her husband and three children, Pacana Park did not exist. 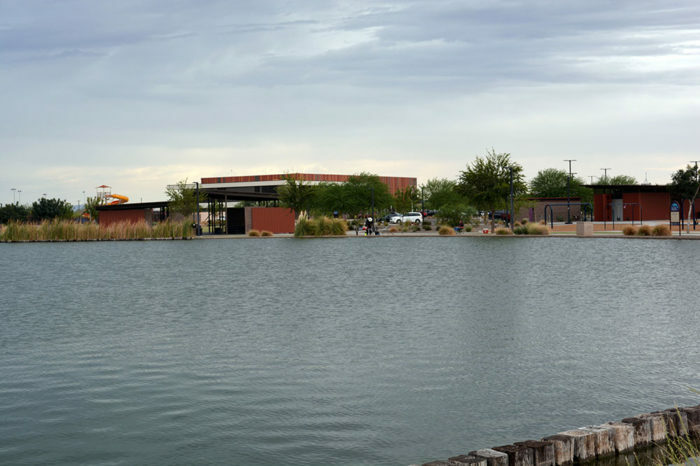 The groundbreaking was in December 2005, and Pacana became the first public park in Maricopa. It was completed in 2009. Potter still remembers her first visit. “The park was so nice, and the families were all very excited. We love the lake the most and, of course, the playground,” she says. Constructed along Porter Road, Pacana is within walking distance of several schools. Photo by Misty Newman. Pacana Park is beloved in the community. It has many amenities including baseball and soccer fields, basketball and tennis courts, a covered playground, a covered ramada and a fishing pond. For Michael Hayes, vice president of Maricopa Little League, the baseball fields at Pacana are exactly what they need. “We build relationships throughout the community, and Pacana provides the place for this community,” Hayes says. Hayes has lived in Maricopa eight years, and he involved his son in Maricopa Little League when he was 4 years old. 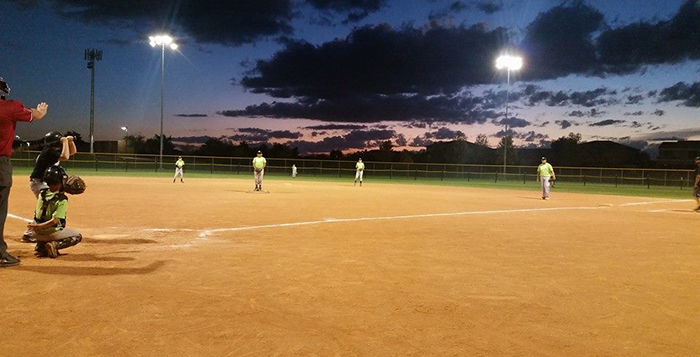 Maricopa Little League is moving into its ninth year playing at Pacana. 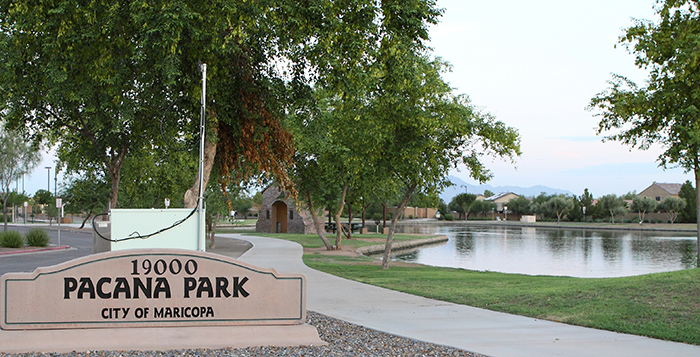 Even with the opening of Copper Sky Regional Park on the south side of town, Pacana stays in the heart of Maricopa. “Pacana is home for us. It’s not the same at Copper Sky because it’s so spread out. Pacana is more intimate and more of a family community,” Hayes says. He also has peace of mind that his son is safe if he is playing while he’s prepping the fields for the game. “When my son is at the park with me I can trust when he’s at the playground. I don’t worry,” Hayes says. 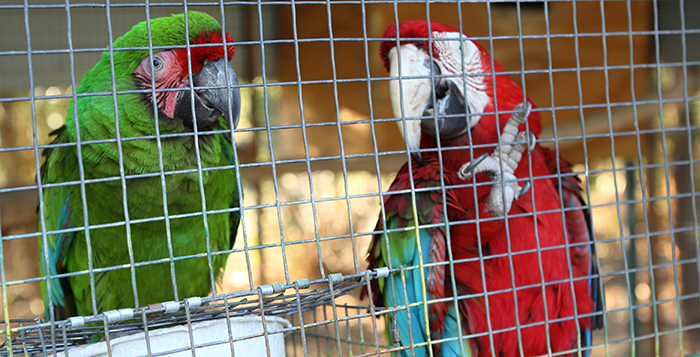 There are many reasons Pacana is a beloved park. For Potter, it is the memories of her kids playing sports while they were growing up. “My kids grew up in Pacana playing soccer and flag football. They did a lot there throughout the years, and all our memories are here,” Potter says. Nicole Mangum, principal at Legacy Traditional School, says Pacana is one of the most peaceful parks in Maricopa. “The park is well lit at night and you can walk around the lake. The fishing is awesome, and it works perfectly for our location,” Mangum says. Legacy has used the fields for its seventh and eighth grade softball teams since 2008. “I have taught my son how to give back to the community through helping me get the fields ready. Every day we go to Pacana, my son helps to set up,” Hayes says. For many years Pacana was home to all the major events in Maricopa including the Salsa Festival, Fishing Derby and the Great American Fourth of July Celebration. The Fourth of July is one of the celebrations that Mangum misses having at Pacana. “I loved the fireworks there. Everyone could sit and watch because Pacana is centrally located,” Mangum says. She says that it would be nice to switch back and forth every year between Copper Sky and Pacana Park. 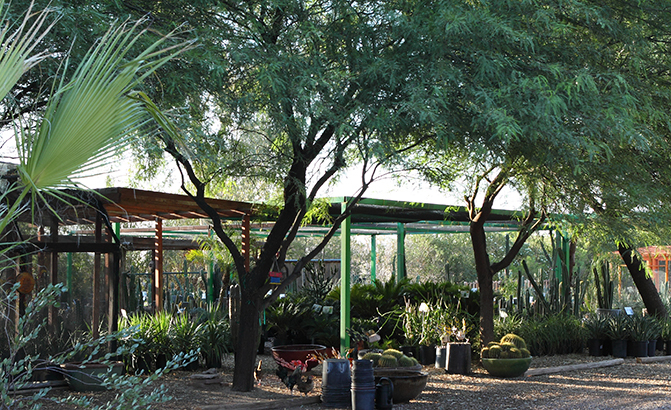 Read more Outdoors stories from Misty Newman in our Things to Do section at InMaricopa.com. Contact Misty at getoutdoorsmaricopa@gmail.com or visit: www.getoutdoorsmaricopa.com. Maricopa is an amazing place and I am proud to say I live in this community. I am excited to be a part of this new adventure with InMaricopa as one of the contributing writers for InMaricopa Outdoors. The mission of InMaricopa Outdoors is to connect with the community and encourage families to be active and healthy. The information and resources we are going to provide on outdoor related activities, recreations, and events, is a way to build partnerships within the community and to inspire families to be healthy. Our vision is to help shape Maricopa into one of the healthiest communities in Arizona. Together, we can make Maricopa a place where people are happy to say they live. There are many outdoor activities and recreation opportunities in Maricopa and the surrounding areas and we are here to shine a light on those activities. There is always a need for additional resources; research indicates obesity and ADHD among children has risen over the years due to more time indoors. The time indoors is often spent watching TV or playing on electronic devices. Becoming aware of and then engaging in a particular activity could change the course of a youth’s life. Through providing families and residents of Maricopa with comprehensive information and resources, the likelihood of participating in activities will increase. According to a study out of Pennsylvania State University, families that participate in outdoor recreation are closer, and it is a way to promote healthy youth development. According to the 2010 Census, there are over 11,000 families that live in Maricopa. We are an active community already, and many families do participate in programs through Copper Sky and the city of Maricopa. The Recreation Guide through the City of Maricopa is an excellent resource for parents to get their child involved in sports and activities. However, some working parents due to their schedules may not be able to get their children involved in city-sponsored sports and activities. The resources on InMaricopa Outdoors will provide additional options for residents and families. InMaricopa Outdoors will also expose the Maricopa community to information on recreation that typically they wouldn’t discover on their own. Once in a while, I hear people say there isn’t anything to do in Maricopa; I disagree with this statement. From swimming at Copper Sky to the Cyclist Team to the new motocross track, it’s happening right here in Maricopa. There are three aviation companies just outside Maricopa where you can get a bird’s eye view of the beautiful Arizona desert. ► Conduct Interviews and promote local businesses that are related to outdoor adventure and recreation. There are some businesses in Maricopa that get more traffic from out-of-town folks. By spreading the word, it will boost their business and the economy overall in Maricopa. ► Conduct interviews with families going on amazing adventures together. How do they do it? What does it take? ► Conduct interviews with individuals and local athletes in our community. What was involved in their training? What are they doing to be successful? ► Provide information on upcoming events and articles on different types of outdoor recreation. InMaricopa Outdoors can be the one place residents and visitors go to when looking for things to do. ► Provide information and resources on outdoor safety and conservation. We are also going to ask for story ideas, calendar events, suggestions and feedback. We want to connect with the community and inspire more people to get off the couch and out the door. As our city grows, so will the need for additional recreation. We want to pave the way for future generations in Maricopa and create a community in which people are proud to live. Motocross is back – almost. Mike Fay will open Maricopa Motorsports Park on 46 acres near the junction of state routes 347 and 84. He purchased the Hidden Valley property last July and put in some light construction to shape up a track. His family and friends have given it a good tryout as Fay works through the Pinal County to open it to the public as a business. He plans to open during the cooler days of autumn. He expects to charge $25 per day. Competitions are not part of the plan yet. “It will just be open practice,” Fay says. He would like to host clinics with a retired professional racer. Fay says motocross is “something for the thrill-seekers,” but is also a family-friendly activity. Though its origins are in 1920s England, motocross has had a resurgent popularity in the 21st century. It is still classified as a dangerous, extreme sport. Pinal County also sees it as a welcome addition to entertainment businesses. Riding since he was 4 and racing since he was 10, Fay has worked in motorcycle shops most of his adult life. “So I guess you could say I’ve got over 35 years of riding experience because I’m just over 40 now,” he says. He says he brings a little different “flavor” to the style of racing than others in the area. “We moved to Arizona for the year-round weather,” Fay says. It was a perfect fit until the former Firebird motocross facility shut down as the Wild Horse Pass Motorsports Park changed names and upgraded.